Goooooood morning and happy July! Wake up with the randomly delicious combo of an Orange Avocado Mango Smoothie. 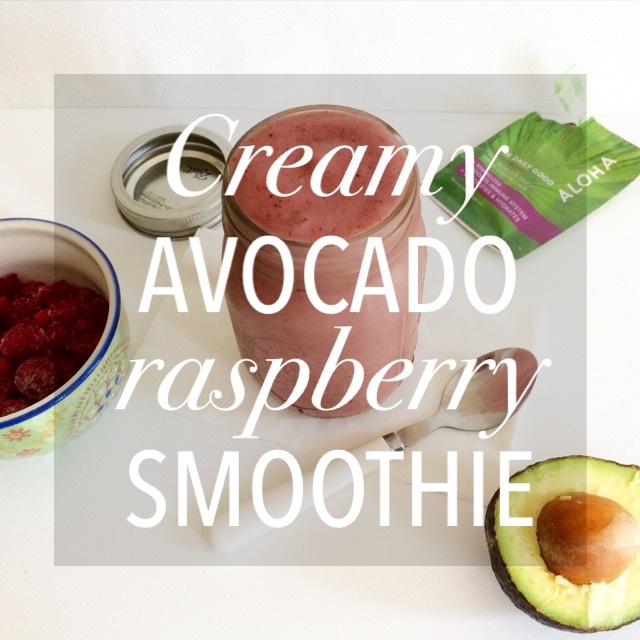 The avocado is creamy and adds a natural thickness to the smoothie. The mango adds sweetness, along with the orange, also tossing in a little vitamin C and natural juice. As breakfast or as a snack, it all perfectly blends together into a decidedly different smoothie from your usually berries and banana. I don’t normally like nor use protein powder. I think it tastes chalky and artificial. Aloha sent their new plant-based vanilla protein powder to try. Let’s break it down: 18 g of plant-based protein per packet, 175 calories, low in saturated fat, still TWO servings of fruit and veggies and packed with taste — none of that chalky consistency. Last weekend, the temperature easily pushed high 80s, low 90s in Boston. 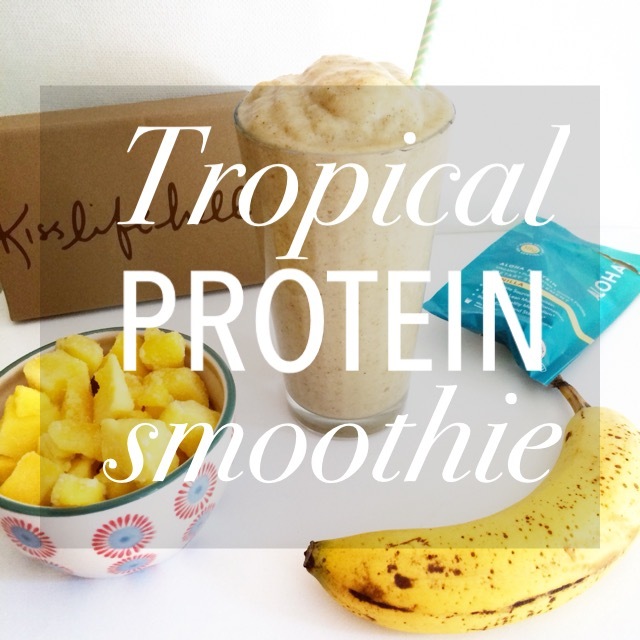 Throw in a run in that muggy weather and the idea of this smoothie is what got me through my run. Also, how can you not try this when it looks like you’re sipping on a tropical ice cream? Blend frozen bananas, frozen mango, almond milk and Aloha’s vanilla protein, and this Tropical Protein Smoothie was hands down one of the best smoothies I’ve ever had. Yummmm. Literally yum. That’s all I have. I made this when I was fighting off strep and it was beyond delicious. The vitamin C and antioxidants from the raspberries were just what I needed paired with some of Aloha‘s Daily Good Berry Blend for a superfood boost. You can’t beat the creamy, smooth consistency that the avocado (yes — avocado in a smoothie!! ), bananas and unsweetened cashew milk offer. It’s like taking a sip of smoothie heaven. You’d think you’re sipping a heavy cream-based ice cream milkshake and not the superfood-dense Creamy Avocado Raspberry Smoothie. Ok, so I’m on a chocolate kick lately, but can you blame me? I’ve spent the seeking on the bus or walking to work dreaming about all the things I’m going to make involving chocolate — I see a new version of the banana oat cookies in the future . . . I was also a day too late for National Spinach Day (who knew such a thing existed? ), but nevertheless, this was worth the wait. The baby spinach adds zero flavor and one hundred percent nutrients to this not-so-green machine. 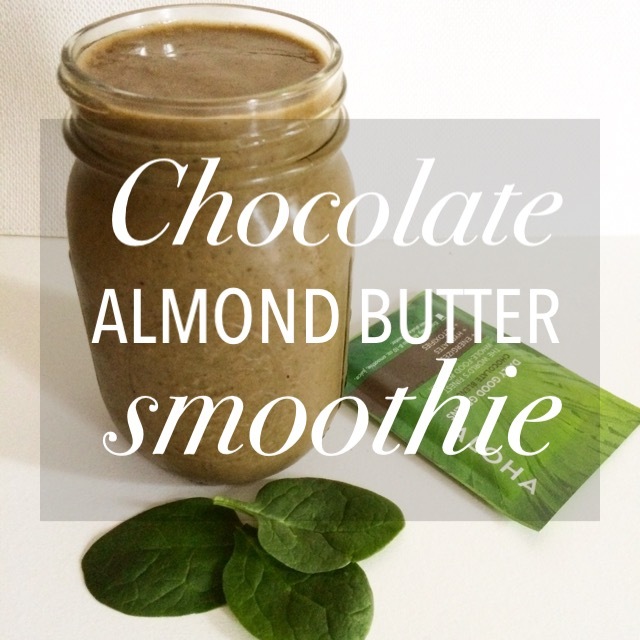 Toss in bananas, almond milk, some almond butter and now you’ve got yourself a healthy Chocolate Almond Butter Smoothie. Sometimes during the cold weather transitions, we need something to remind us of warmer days. 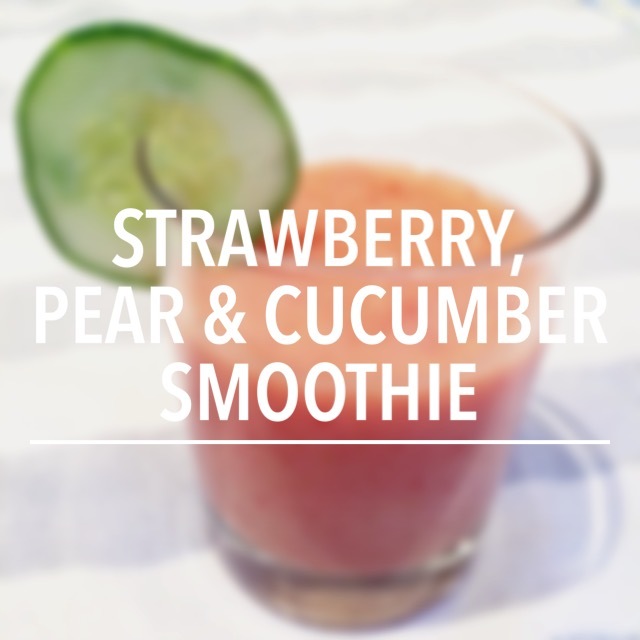 I made this Strawberry, Pear & Cucumber Smoothie after a run today and it was absolutely refreshingly delicious. I had too many ripe pears sitting on my counter, begging to be used. They possess such a juicy sweetness that their addition to a smoothie like the only logical next step. And what a perfect smoothie they made! Throw in frozen strawberries, a cucumber and some ice and oh, it’s like I’m back in summer days, and not this dreary, rainy weather. I had this Apple, Spinach, Cucumber & Mint Smoothie on a sunny, 86° day. Before you write this off for its quite green color, try this hydrating drink on a hot, summer day. I originally made this with kale, more celery and no mint, and it tasted like I was drinking grass; the smoothie turned out waaaay too green. However, baby spinach has a much milder taste, and the mint added a fresh kick. When I make this again, I would add frozen banana instead of the yogurt. This was a different take and a welcomed departure from the classic fruit smoothie. Before you dismiss the green smoothie for its color, give it a try! This smoothie is light, refreshing and surprisingly tasty with so few ingredients. The watermelon adds a sweet, but light juice to the mix without having to add any sugary juice or extra liquid for the same taste and consistency. 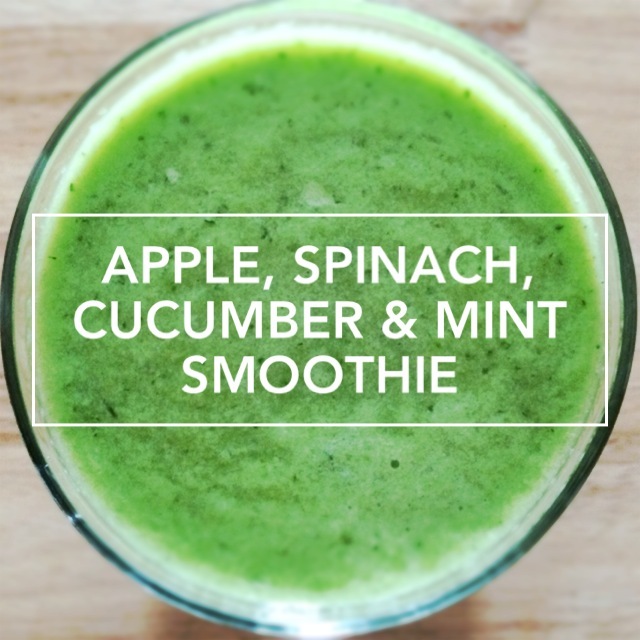 This smoothie is a great hot weather pick-me-up and an ideal drink on a muggy day. 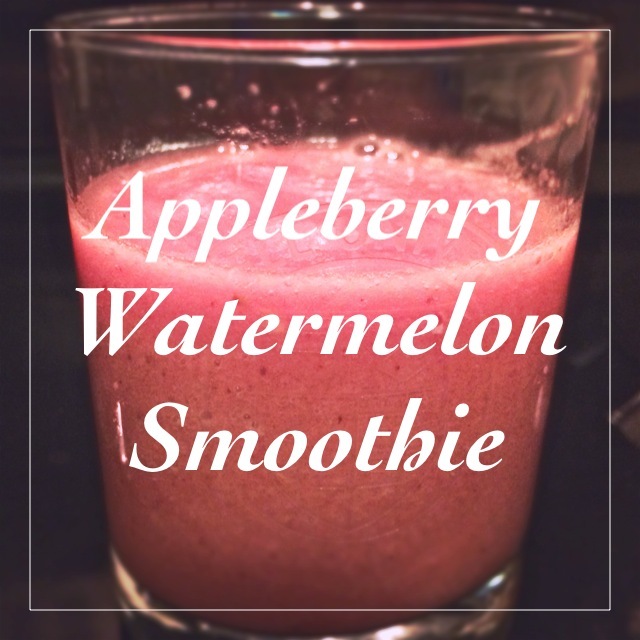 Simple, quick and easy — in no time you’ll be sipping on your Appleberry Watermelon Smoothie!